For many gear gurus, the most wonderful time of the year is right about here. Now, we are not talking about Christmas. We are actually talking about that time of the year when you can gather up your gear, head to your local lake, river, pond, or even ocean, and drop a lure and FISH! That’s right – it’s all about fishing! Now, as many fisherman and fisherwoman can agree – this is an industry where you are always learning, growing, and adapting. With this, one of the best ways for any of us to learn more about a certain topic – is books! Bet you weren’t expecting that one! So, today, we are incredibly excited to share with you the very best of fishing books as of 2018. Whether you are looking to expand your knowledge on fishing techniques and methods, how to tie stronger knots, or even learn more about the different types of fish in the world – we have a book specifically for you! We took the time to carefully skim the market and figure out which books are helping fisherman and fisherwoman on their next fishing adventure. Loaded with quality information and visually appealing graphics – these books are just waiting to be uncovered! So, shall we begin? Are you a fishing newbie? Maybe, you are an expert looking to enhance your fishing book collection? Well, the first fishing book on this list just happens to be a fan favorite. With endless amounts of information accompanied by images and instructions, users will tout and appreciate this book, The Total Fishing Manual. Yes, total! With that, let’s see what we can learn, uncover, and be amazed by in this book. These are two things users should expect from this fishing manual. As one of the best fishing books out there today, users should expect to learn a lot about gear, products, and how they can be better at their fishing stance. For example, if you want to learn how to pick the best lure, flies, and tackle, this book will guide you step by step through the different fishing equipment and how people should pick it. More than that, this book will aid in the process of setting it all up. With the right gear, an individual can always find the best fish and enjoy their fishing experience much more. If not, fishing can be a drag! This book makes it a lot easier to make it more fun. If you are a newbie at fishing, you may think that you can simply go out on the water and catch a fish. This is only partly true. In fact, different types of fish live near different bodies of water. For example, an individual will have to go to specific areas to find a linker bass or a huge trout. With that, this book helps individuals find the best fish near your home waters so they can pick and decide where to fish. With that, it makes the process more fun because you can always rest assured that you will be finding something new. Just open to a random page and pick the fish you want to catch! As far as cost and value, there really is no price on knowledge. However, users can expect that this book will be filled with a lot of useful information for both newbies and fishing professionals. With that, it is priced accordingly for a paperback copy and individuals can even get it in a digital kindle version. However, if you are using it on kindle, be careful taking your kindle on the water! Can be bought in two different versions; digital and paperback. A quality book with plenty of fishing information. Useful for newbies and professionals. Will guide you on the best gear, fishes, and how to fish. A great gift for the fisherman in the family. Users have mentioned that this book is not organized, it is more of a collection of articles and short paragraphs. This may just be one of the best tabletop books for consumers that love fishing. More so, this is the perfect fun book for kids and teenagers. With plenty of knowledge, this is a great photobook offering a rich in-depth visual experience. Essentially, each image is a moving 3-D image with plenty of information on each marine animal that you can find in the Ocean. 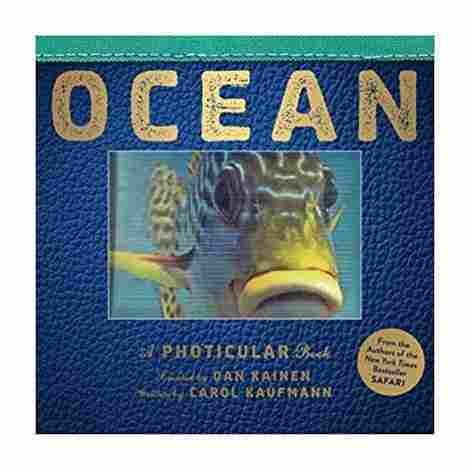 Let’s see further why Ocean: A Photicular Book is a very unique and fun book to have around your home. Nothing is more boring than a book with a basic black and white image and a bunch of small text. With that, this book may be one of the most visually rich books when it comes to ocean life. The reason being is that they used a 3-D printing technology that allowed for the images to move as a person flips the page. With that, users can expect that the quality of the book is really in-depth and offers a lot of visual importance that adds to the story of each individual photo. With that, little kids will simply think this is a really cool book to flip through and show their friends. When it comes to an ocean book, it is very important when it is a photo book that includes enough information that keeps the reader intrigued and eager to learn more. With that, we can say that this book is properly designed for individuals that want a visual experience alongside a lot of information. The information in the book includes everything from animals on the ocean floor, to Sharks. With that, users can expect to discover and learn something new with each page they flip. When it comes to cost and value for this particular book, we were pleasantly surprised by how well priced it is for such a visually inspiring book. With that, users should expect it to run about the same price as a hardcover book. Now as far as value, it is filled with a lot of cool information geared towards a simple read that people will enjoy. A quality designed book that is simple to read. Plenty of pages of information. Great book for table tops. A great gift for kids or fishing lovers. Does not come in a softback copy. This next book is particularly designed for people that love fly-fishing. More so, this book is revised and enhanced by a lot of the useful information that made the original book one of the best. With this, users can expect a high-quality fly-fishing book that has a lot of useful information. If you are a novice or an expert at fly-fishing, this should be in every fisherman’s library, you never know when you want to brush up your knowledge on fly-fishing. 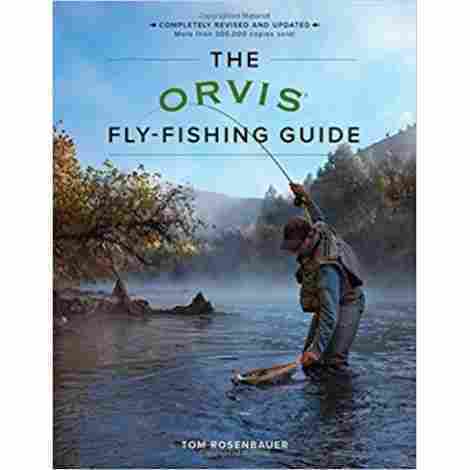 Let’s talk about The Orvis Fly-Fishing Guide, the revised version! When a book is revised, it means that it is taken from its original form and updated with more accurate and better information. With that, users can expect that this fly-fishing book is designed with quality information in mind. Now, much of the information has stayed the same but they also did add a lot of new information that makes it a quality book. Some of the new information includes conservation, new techniques, and even new photos with hundreds of fliers n full color that includes 50 new patterns. This book, unlike the past two books, is more of a guide than a picture book. More so, this book has a lot of useful information that beginners will need to know before they embark on fly fishing. Other than that, fly-fishing lovers can expect a step by step journey on how to buy the best gear, how to select reels, lines, and much more. As a guide for fly-fishing, it is the perfect companion. As far as cost and value, what is really great about this particular book is that it comes in both a paperback version and kindle. Now, users can expect that the Kindle version is slightly more expensive than other Kindle books. However, it is completely worth it for the amount of information in the book. With that, the value is tremendous and if you want a physical copy, you can get that for only a couple bucks more. Over 300 pages of useful information. Chapters on everything from gear to fly casting and Stillwater tactics. The revised version is even better than the first. Plenty of great information to use. Comes in two different versions. Users have mentioned that it is a great book for beginners, not advanced fly-fishers. Since we are talking about the best fishing books, we had to obviously include this next book on the list. This next fishing book is known as one of the best field guide books out there for people that want to learn about fishes. 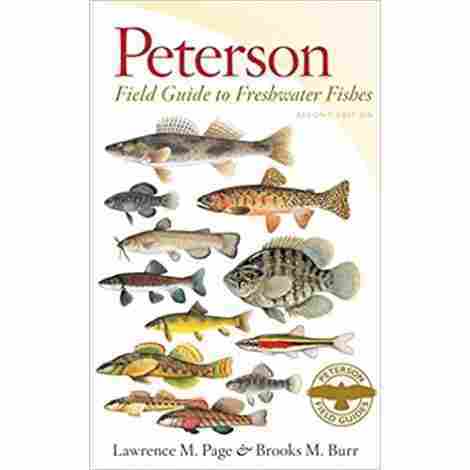 With that said, let’s talk about the Peterson Field Guide to Freshwater Fishes, the Second Edition. This includes what made the first book a five-star book, but even better. Let’s look at two important points about this book and what users can expect. This particular book only talks about freshwater fish. Users can expect to learn everything from the different species to where users can find them. With that, this revised edition includes 19 new marine invaders and about 16 newly discovered and established non-native species. Users can expect a lot of information on their habits, where you can find them, and their origins. This information is especially useful for people that want to work in the marine field or in the oceanic field. This useful freshwater book has a lot of photos of each fish that you can find and a lot of information about the different fishes, location and more. With that, it also includes maps about where individuals can catch the best fish and what they can expect from that particular area. As one of the best freshwater fishing books, much of the information is very general, so it is more of a general book about freshwater fish than it is about fishing in freshwater. As we take cost and value into consideration, we can easily say that this book is a great addition to any fisherman's library that loves freshwater fish. More so, it is more of a general collectible type of book than a book used for fishing information. Users can expect a great level of information in this book, and it comes in paperback for a pretty general cost. Freshwater fishing book with plenty of information. New species and much more. Photos and maps included in the book. Revised information to make the book much better. 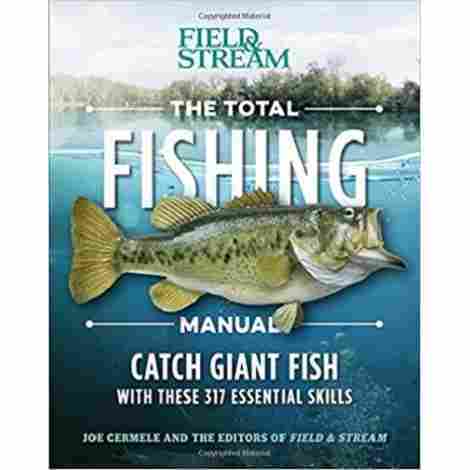 Users have mentioned that the book is too general and doesn't have enough information on how to fish in specific areas. It is time to go back to the basics! This next book is probably, by far, the best fishing book for individuals that are looking for a beginners guide type of book. We can say that this book, is a really great book for people that are ready to learn how to fish or have just started. Learn the basics of how, where, why, and what fish to catch in certain areas. Let’s talk about the Basic Fishing book, a Beginner’s Guide. Here are two things consumers can expect from this book! Do you know where to fish? Do you know what lures to use in a specific environment? How about, how to catch a big fish, or what to do once you do? Well, this book will answer all of that plus more. As one of the best fishing books available today, users can expect a lot of entry-level information. For example, this book includes a survey of boats, motors, and other accessories as well as baiting techniques and selecting the best fishing spots. With that in mind, users can expect a lot of quality entry level information. This fishing book manufacturer has actually spent much of their career life publishing a broad range of fisherman books and other marine life books. With that, their books range from bait fishing to spin casting and more. Users can expect that their knowledge of fishing is found by conducting proper and thorough research. With that, users can expect a quality fishing book! When we take cost and value into consideration, this may be one of the best quality fishing books for beginners. With that, users can expect that this book is filled with plenty of great information for the novice fisherman. Now, users can get this book as a paperback copy for about the same price as other books or a Kindle copy for free with Kindle Unlimited. As far as value, users will love all the great information this book has for fisherman and the like. Different techniques for beginner fishermen. The best fishing spots for different occasions and situations. Even better is that it comes with methods to clean a fish. A lot of useful information for beginners. Who loves a good dummy book? 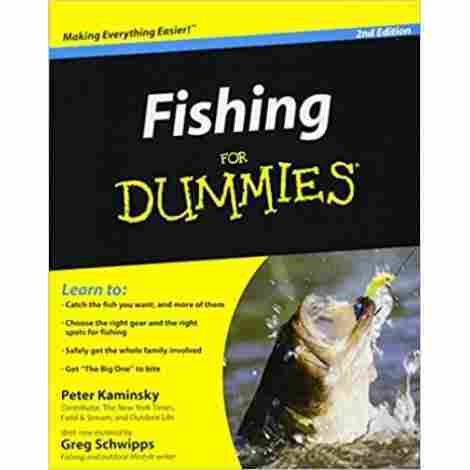 Not that we condone the idea of people being dummies, but this next book is a great fishing book for the beginner fisherman. With that, this brand has also been known for producing the best books for beginners in the field of virtually everything. With that, let’s talk about the Fishing for Dummies book and what people can expect from this unique book. Oddly enough, there is a lot of fishing equipment out there, including different electronics. For example, there are fish finders and other gadgets that fisherman can use to make their fishing experience even better. Well, even that information is included in this book. For example, users can expect a lot of info on the best electronics and equipment technology that they can use for fishing. It is pretty hard to pick out a fish based on description alone. There are so many different fish in the world, that pinpointing them is no easy task. With that, this book includes 8 full-color pages full of fish illustrations that includes everything from Rainbow Trout to Largemouth Bass. Users can expect plenty of useful information about the fish, their habits, where they can be found, and how they rank in the fish kingdom. As we take cost and value into consideration, we want to share that this may be one of the best books out there for beginning fishermen. This series alone has been known to produce some of the best beginner books available today. With that, users can expect that virtually every topic about fishing will be covered in this book. What was very surprising is that the paperback copy of the book is priced well below what the regular Dummy Series is priced at. With that, the Kindle and the paperback price is the same. Two different version of the book available. Priced well below the average price. Users love how simple everything is explained. Includes color illustrations that are very helpful to identify different fishes. Different sections even on how to cast and the best equipment for casting. Not a great tabletop fishing book. This next fishing book may be the book that every individual will want to have. There is nothing better than catching your first fish. The experience is exhilarating. However, what if you want to learn how to catch multiple fish? Maybe, you want to compete and want to improve your catching skills and catch rate. Well, this is the book for individuals that want to improve their catching skills and enhance their catching techniques. 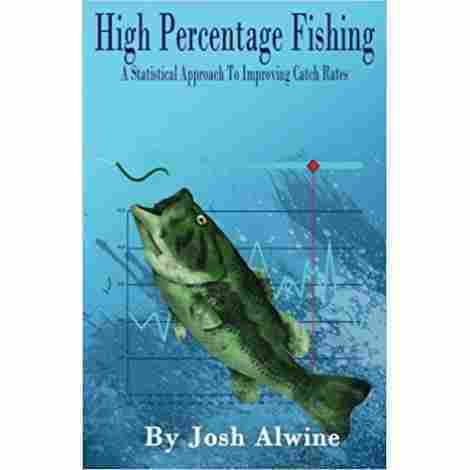 Let’s talk about a quality book to help all fisherman, the High Percentage Fishing: A Statistical Approach To Improving Catch Rates book. Here are two things users can expect. Did you know that the weather can severely impact how fish act in their natural habitat? More so, if you expect to catch the same amount of fish in rainy weather than in sunny weather, it is greatly different. With that, this writer focused a part of the book on learning about the different weather conditions and how they can impact big bass and their habits. This helps individuals learn how to pick the best weather days for fishing. Now, known as the “Moneyball” the Largemouth Bass is known as the fisherman’s competitive fish. With that, this book focuses much of its attention on the big bass habits and different locations that users can expect to find them. This will help users and novice fisherman develop the best sense of direction when it comes to fishing competitively. Also, it gives an insightful look into the life of the Big Bass, which is also very cool to learn. As far as cost and value, think of this book as your cheat sheet for the next time you go bass fishing. With this, individuals can expect a high-quality fishing book that offers plenty of information all about fishing and the life of a Bass. For a pretty decent price, somewhat more than a paperback, but not shocking enough, Josh Alwine makes it possible for fisherman to improve their catch rate with this amazing book. High-quality fishing book with plenty of information on the Largemouth Bass. Great book to enhance an individuals fishing skills. Plenty of information that users may not have thought of, such as best and worst times to catch a fish, and the effects of the lunar cycle. Big bass habits and locations. Users have mentioned it is an okay book for bass beginners. This next quality fishing book may be the perfect book for travellers and adventure seekers. This book will give individuals the best fifty places out there where they can fly fish. With that, if you love to fly fish and you also love to travel, this is the book for you. 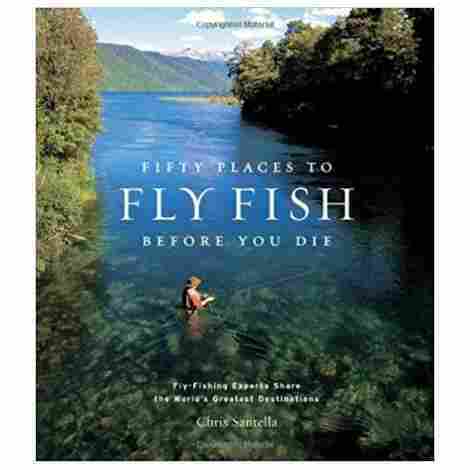 Let’s talk about the Fifty Places To Fly Fish Before You Die and what users can expect from this quality book. As we said above, this is the best book for travelers and adventure seekers. More so, this book does not only cover areas of the United States, it includes different areas that people can fly fish at from Cuba to Mongolia. So, if you are seeking a worldly fly fishing experience, this is the book for you. What we can say, is that it includes in-depth interviews with some of the best sports acknowledged individuals and their experiences on fly fishing all over the world. Once again, nothing is more boring than trying to describe to a fisherman at a fishing location with a photo. Therefore, this author including strikingly beautiful photographs that enhance the quality of each individual location. The photographs are in color and are in full-scale HD. With that, this is also one of the best travel books or tabletop books that individuals can enjoy. With the images alone, one can daydream about fly fishing, even if they don’t even know how to yet! When we take cost and value into consideration for this book, what makes it even better is the HD photos. The photos are beautiful and give users a glimpse into the location and what users can expect. From that, we can say that it is properly priced for a hardcover book and users should expect to pay about the same for a Kindle copy. However, as a tabletop book, we highly recommend the hardcover. A high-quality hardcover book that users will enjoy. Plenty of information from industry professionals. Different maps of locations to fly fish. More of a general location outline than a helpful guide to fly fishing in that area. From the wisdom, expertise, and mind of master fly-fisherman, John Gierachs, we are introduced to a different kind of fishing book. Filled with plenty of fishing wisdom and life wisdom, this is the perfect reading book for the fisherman that wants to see the life of a fisherman from a different point of view. In fact, this author and fly-fisherman were just inducted into the Fly Fishing Hall of Fame, and with that, we are introduced to his quirky world with this next book. 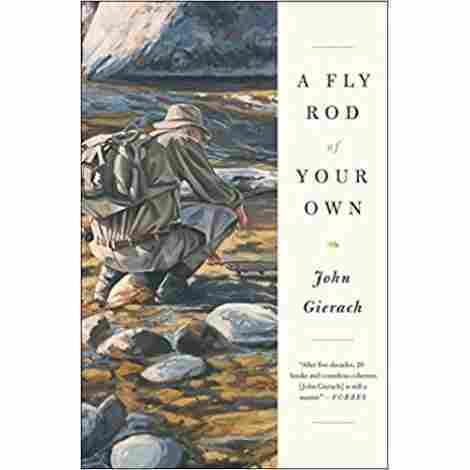 Let’s talk about the A Fly Rod of Your Own by John Gierach. This author has been said to have some of the most experience when it comes to fly-fishing. With multiple awards, different experiences, and multiple books under his belt. Readers will love his quirky sense of humor and quality stories in this book. With that, he is also a trusted author that has written multiple books and this one is only one of the best to add to your collection. The reason that we introduced this book to this list is that it is not just a how-to type of book or informational book. It is more of a comfortable read that users can enjoy any time any day. In fact, readers have mentioned they bring this book along when they fish so they can pass the time. With that said, this author helps other fishermen discover and learn new knowledge about the art of fly-fishing and more. As far as cost and value, this book offers fishing value in a different way. It is the perfect book for individuals that want to escape into the world of a professional. 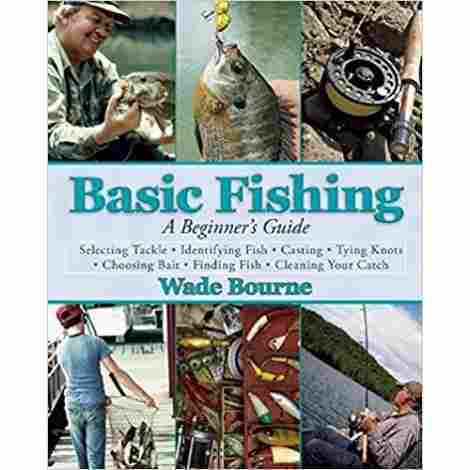 With that, it is priced a bit more than regular fishing how-to books, but it is still an affordable paperback read. If an individual wants it digitally, they can also get it on Kindle. With that said, we highly recommend this book. A quality book with fun stories. Humorous stories for individuals that love fishing. Written by a master author. Not an information-based reading book. When it comes to fishing books, this next fishing book may be one of the best books, particularly for fishing knots. Nothing is more cumbersome than a fishing knot breaking on you or potentially, costing you the first prize trophy. With that, one of the most important aspects of fishing is that individuals need to be aware of how they tie their knot. With that, we want to talk about the Complete Book of Fishing Knots, Leaders, and Lines. As the last book on this list, we are eager and excited to share this book with you. Now, this may be the most technical book on this list. Therefore, individuals need to be prepared to learn a lot of new terms. With that, this author made it easier to learn the fishing terms described in this book with a simple and easy to understand glossary in the back. With this, individuals can tackle different aspects of the fishing experience with ease. One of the best benefits of this book, much like many of the books on this list is that this author included a step by step guide per knot. In fact, each individual knot also comes with different pictures to aid in the process. Individuals can expect to learn about Arbor knots, Australian Braid, and more. With this type of help, individuals learn quicker than ever before. When taking cost and value into consideration for this particular book, it is priced accordingly and it is a very simple read for many individuals. Although it is not the most fun book on the list, it comes in handy for individuals that want to learn about knots and most importantly, how to tie them. With that, users can either buy the Kindle version or the Paperback version for about the same price. Quality book designed to aid in the process of tying knots. Plenty of information for fisherman and beginners. Learn about different leaders and fishing lines. A trusted author with 35 years of experience. Users don’t consider it a “complete” book as it lacks some varieties and quantities. Wow! We made it. What type of fishing book caught your attention? Are you looking for a book that might teach you new methods when fishing on the river or lake? 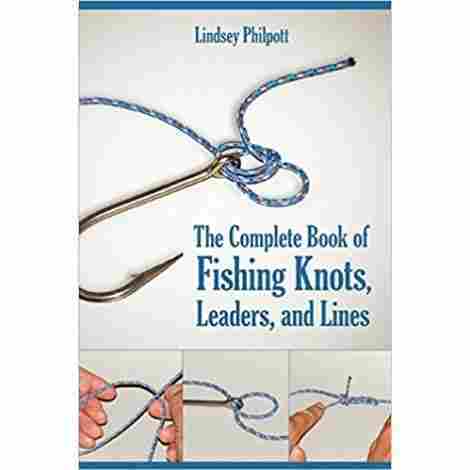 Or, are you looking for a book to learn more about how to tie specific knots so that your next fish doesn’t get loose? Whatever your need may be, today, we shared with you a book that can help. In truth, our genuine goal was to provide interested readers, such as yourself, with a wealth of solutions when it comes to all of your fishing questions. These 10 books offer the most comprehensive information on the market today, which is why we were incredibly excited to share them with you today. Now, with the fishing season getting closer and closer, it’s that time of the year to freshen up your knowledge and learn some new things. That way, next time you’re fishing on the boat – you can secure the biggest fish and win that competition. Well, if you are not a competitor fisher – how about just the big fish you always dreamed about? Let’s be honest: picking out a book can be incredibly challenging, especially when you don’t know much about the author. With that being said, many people tend to purchase a book on hopes and limbs that it will answer all of their questions and provide the information they need. Now, when it comes to fishing, it’s even harder. In light of this, after spending countless hours scanning through dozens upon dozens of different fishing books – we learned that there are so many books; however, they are specific to certain parts of fishing. For example, specific types of fish, ways of fishing, types of lures, or even specific locations to fish. With that being said, it can be challenging for a new-time fisher or even a veteran fisherman (or fisherwoman) to brush up on their fishing knowledge. This was the precise challenge that we sought to overcome this challenge. This section serves to help inform readers precisely how we were able to do this. For beginners, we started off by creating something known as our Criteria Used for Evaluation. This was simply a list of important qualifications and standards that were most important and related to consumer desires and needs. Some examples include the quality of information being shared in the book, the visuals utilized, and even the cost and the value of the physical book. All of this was used in evaluating each book and it helped us highlight only the very best and most comprehensive fishing books on the market today. So, if you are looking to learn more about how we overcame our challenge, keep on reading! Moving into this article, we brainstormed a list of the most important criteria – based off of consumers needs. In this, the most important piece of criteria that we evaluated each book on was the quality of the information throughout the book. Now, before we began doing any extensive research, we started off by reading the basics of the book. We wanted to know exactly what was the author’s purpose for writing the book. From there, we started off by reviewing what the entire book was about and what value the writer offered. We examined the chapters and even went as far to look at what previous customers shared about their reading experience. In this, we can say that every single book that we shared with you was infused with the very best information on fishing. Whether the book was about overall fish in the sea, freshwater fish, or learning how to tie the best knot to secure the biggest fish – these books are industry defining. Let’s be honest – again, when it comes to reading a book on fishing, it should not be hard or difficult to understand. However, what we learned by doing this buying guide was that many fishing books out there are challenging to read. Many consumers have noted that what tends to happen is that it’s difficult for some writers to explain some fishing concepts to readers, which ends up confusing fishermen. With that being said, as we moved into this article, we wanted to ensure that, whatever book made our list, it was incredibly easy to read and understand. To figure this out, we took a few measures to gauge each book. For one, we evaluated the author and their previous works. We scanned any information we could find on their writing style and, if possible, read glimpses of their previous or current works. From there, we consulted with previous customers in the reviews to see what people said about their reading experience. If we noticed that there were many people complaining about the reading difficulty, the product was eliminated from the list. So, if you are nervous or have any doubts, this buying guide represents the best and easiest to read fishing books. As much as we might not want to admit it – the number of pages of a book actually matters. Here is how we know. If you were to look at a book that had, let’s say 600 pages. Would you rather pick up that book to read or one that is 200 pages? For some reason, people like books that are shorter – less bulky. Perhaps it’s the desire to carry a lighter book – or the thought of having over 600 pages to read. With that being said, when we created this buying guide, one part of the book that we considered was the number of pages. We really wanted to ensure that each book that made our list offered readers quality, rather than quantity. Before a book was selected for our fishing guide, we looked at the reviews and, if fishermen and fisherwomen complained about the length, we marked it and re-evaluated the quality of the book. Who doesn’t love pictures and visuals? Well, when it comes to fishing books, visuals are quite imperative, as many consumers have noted. When it comes to learning about a type of fish, how to catch a fish, how to rig a lure, or how to tie a knot – without images, those words are simply just words. Let’s be honest, if you read a book about a specific type of saltwater fish – would you be able to recognize that fish by just words – or would the visual make the difference? With that being said, when we evaluated each book for contention, we wanted to ensure that the writer and author included high-quality images to help portray and teach the readers what the topic was about. 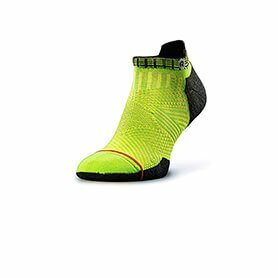 With this in mind, to ensure our readers that the images and visuals in each book were of superb quality – we consulted with the reviews, all which tout the images in each product today. Since we knew that we were going to be studying and researching books, evidently, one of the most important criteria that we took into consideration was the author and writer of the book. Reason being, knowing the author of a book could speak volumes about the quality of the information, the reading difficulty and so much more. So, before any book was considered for our buying today, we took the time to properly research the author and creator of the book. We wanted to know what their expertise was, as far as fishing is concerned. In addition to this, if the book, for example, was regarding freshwater fish or perhaps knots – we wanted to know more about their experience in that particular topic. In doing this, we eliminated books from authors that we felt did not offer the experience and expertise and fishing required to be considered a “best book”. Additionally, in doing this, we were able to really highlight the very best authors and writers in the industry. To ensure this, we always concurred with previous customer reviews. Ironically, the authors that were professionals in their topics were the most notable among previous consumers as well. The last aspect and criteria that we want to share with you today is something known as the cost and value. Now, when it comes to evaluating products, many consumers tend to look at price as a means of whether something is expensive or cheap. We want you to know that the price point tells a much bigger story. In this, even though it’s a book, you can use the price as an indicator as to whether you are going to get your money back for a purchase. Now, you might be wondering how that is possible – let us explain a bit more. What we did is start off by observing the market prices for fishing books. What this means is looking at the wealth of different products and books – and measure the difference in prices. We wanted to know what products were the most expensive, what were the cheapest, and what seemed to be the medium price point. From there, we carefully noted each book and observed what value they offered consumers. When it comes to a book, it can be challenging to measure value; however, what you need to do is look at the product description of the book. See what the manufacturer considers as the highlights of the book. You can also see if the book has received any accreditations or awards. After that, we looked at the customer reviews to see what people are saying about the book after reading it. This is precisely what we did for this buying guide, which is why we can be sure that every single book on this list is the absolute best in the industry as of today. Q: What are the best fishing books of all time? Q: How do you take care of your softcover or hardcover fishing books? A: If you are a frequent reader or looking to start this new hobby, you might want to know more about how to take care of your new prized possessions. This is a great question because, if you are not careful, your books could quickly show signs of wear and tear. With that being said, it’s highly recommended to avoid any chemicals when trying to clean or dust the surfaces in and around the book area. Additionally, when reading, try to avoid having any liquids or foods near the book. You don’t want to accidentally spill some coffee on a page. Additionally, to avoid any structural damage to the book try to keep the book in a drier environment and closed when not reading it. Otherwise, you can risk destroying the spine of the book. Any humidity can do damage, warp the pages and harm the threads in the spine. Q: How to know whether a fishing book is okay for children to read? A: Are you a fisherman or fisherwoman wanting to train and teach your children more about fishing? Well, first and foremost, bravo! Now, it’s incredibly important that, before you start reading any book to your children, whether fishing related or not, that you look at the age-requirements for the book. Today, more and more book companies and publishers share an intended audience for the book. Additionally, it may prove beneficial to scan through the chapters and the images in the book.